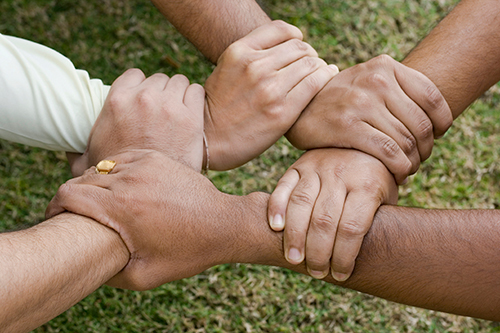 We believe that in order to teach these values to others, we must first learn, live, and embody these values ourselves. For this reason we require that all our people are good citizens, so that they will serve as shining examples to their clients, peers, and communities. Beth Sullivan is the State Director for Granite Bay Care. She graduated from Hanover College with a degree in Theology, and served as a Youth Minister for six years before beginning her work with intellectually and developmentally disabled adults more than eighteen years ago. She is currently working on her Masters of Business Administration (MBA) at Husson University. Beth strongly endorses the mission of GBC to create an environment that promotes choice, dignity, respect, and happiness to one of the most vulnerable populations in Maine. She believes people should not be defined by their disability and that each person has something to offer to society. Beth is a strong and tireless advocate for helping individuals reach their full potential, while still having a fun and fulfilling life along the way. Beth maintains an active role in the training and development of the staff, managers, and director teams. She works to build wraparound teams of support for each client, including case managers, guardians, and staff as they work towards meeting their shared goals. Beth believes that a very positive and supportive approach is key to helping others be their best. Beth serves as the Coach for Granite Bay Care’s Special Olympics Team and leads scores of athletes and staff to events throughout the State of Maine. She serves on the Restorative Justice committee in an effort to help individuals with intellectual and developmental disabilities in the state of Maine avoid interfacing with the justice system. She has a strong passion to help each person she serves have the best life possible and reach their full potential. Janelle brings with her a diverse background, ranging from her previous experience as a Human Resource Director, Police Officer, Firefighter, and EMT. Her public service distinguishes Janelle’s natural ability to connect and care for people. She is viewed not only as a strategic business partner, but a servant leader. Janelle’s niche is identifying opportunities in business models, balancing business and employee needs, helping grow unique cultures, and driving performance. She holds two Bachelor degrees; one in Criminal Justice and the other in Business Management. She is also pursuing her graduate degree in Human Resources Management. A graduate of Boston College Graduate School of Social Work, Phil has received advanced training in individual, group, and family therapy, with specialties in Post-Traumatic Stress Disorder and MultiFamilyGroup Psychoeducation, practice and implementation. 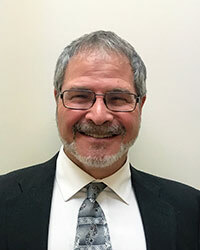 He has been working in hospital and community mental health settings for over 20 years, including experience in Emergency Department (Acute) Psychiatry and mobile crisis intervention, outpatient psychiatric services, and with the Center for Psychiatric Research at Maine Medical Center as clinician with the Portland Identification and Early Referral (PIER) Program. He worked as senior trainer, supervisor, and consultant with the Biosocial Training Institute and served as Managing Director of the Family Psychoeducation Institute at the Maine Medical Center Research Institute. Phil has also provided training and program implementation support in Multifamily Group Psychoeducation. Treatment (MFGT) to Behavioral Healthcare providers across the US and was Principal Trainer in MFGT for the Department of Veterans Affairs, Office of Mental Health Services. Mutaz Abdelrahim, GBC’s Area Director for Cumberland County is a committed, caring, dedicated caregiver who joined GBC in 2007. He has held different positions in the agency starting as a weekend DSP, to a house manager, to a program manager and finally, an area director. As an Area Director, Mutaz brought with him solid knowledge of the operations of different GBC positions. He has witnessed firsthand the growth, challenges and opportunities that the agency offers to hundreds of past and new Mainers. 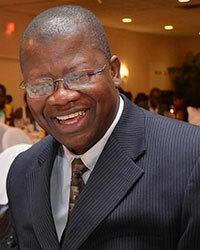 His educational background includes an undergraduate degree in Microbiology. Mutaz earned his B.Sc. in Microbiology from Pune University in India. He holds a Master’s Degree in Justice Studies from Southern New Hampshire University. Currently, he is in his final stretch to complete his second Master’s Degree in Community Economic Development (CED). His academic achievements also include a diploma in Medical Laboratory Techniques (MLT), a diploma in Ecommerce Programing, and a certificate of MHRT. Being concerned with community engagement, Mutaz is interested in giving back to the community through different volunteer jobs he has undertaken over the years. He has been a volunteer with the American Red Cross since 2008. Mutaz became a DAT Captain for Androscoggin County, a certified First Line Supervisor, and represented Maine Red Cross in a national conference in Washington DC. Mutaz is a Board Member of Maine Community Integration Organization and Community Clinical Services, an FQHC Affiliated with St. Mary Health System. Mutaz brings with him compassion, versatility and willingness to serve the underserved; and most importantly, high dedications and persistence to serve GBC consumers and staff. Melissa has always had a passion for helping others and has had a long career in assisting individuals in vulnerable populations. A Maine native, she graduated from The University of Southern Maine with a Bachelor’s Degree in Sociology. In 2011, Melissa began her career at Granite Bay Care as a Program Manager and moved up the ranks in the agency, eventually becoming an Area Director. Melissa’s previous work as an Individual Support Coordinator with the Maine Department of Health and Humans Services for Adults with Developmental Disabilities, helped Melissa to discover the importance of support and assistance for people with developmental and intellectual disabilities and she is grateful to be able to continue this important work with Granite Bay Care. Melissa also worked for several years at Preble Street Organization, in various capacities, with the homeless population where she learned the importance of teamwork and community involvement. Melissa enjoys the rewards this challenging work has brought to her and she is committed to the support of Granite Bay Care clients. 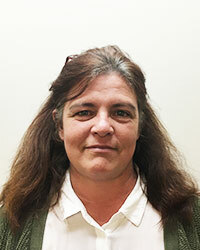 Kim Fletcher, Area Director, brings with her over 20 years of experience in various roles in the Human Services field. She holds an Associate Degree in Law Enforcement and a Bachelor Degree in Psychology and Counseling from Vermont College. Kim has attended numerous other professional development courses over the years, including learning about children’s and adult developmental and mental health services and treatment. Kim spent 9 years working in Corrections, which included almost two years as the training director, before commencing her journey in direct support work with pregnant and parenting young mothers. Over the past 10 years, Kim has worked with children, adolescents, and adults with Mental Health diagnoses, Autism Spectrum Disorders, and Intellectual Disabilities. 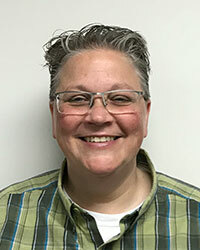 Before joining the GBC team, Kim was a Division Director, managing a State-Wide contract with the Department of Health and Human Services to provide Emergency Housing to adults who qualify for State Developmental Services and who were homeless or at risk of being homeless. In that role, she also managed a licensed adult mental health home, and supervised the Community Case Management supervisor. Kim has held several leadership roles over the past 25 years and thoroughly enjoys leading and connecting with those she supervises. Kim believes that by building strong relationships, she is able to motivate others to develop ongoing skills and gain confidence which in turn aides those individuals to become strong and independent. She has also found that leading in a way that empowers others increases self-sufficiency and desire to provide services with quality, empathy and care. 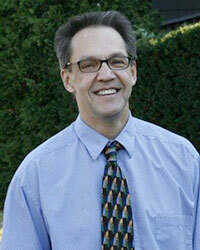 James Hathaway is an Area Director for Granite Bay Care. Jim holds a Bachelor’s Degree in Psychology from the University of Southern Maine. Jim joined GBC following thirty-two years of working for the State of Maine in a variety of roles including both program and finance positions. Following graduation from USM in 1985 Jim sought employment at Pineland Center to attain practical behavioral experience. Jim began working in an entry level position at the Behavior Stabilization Unit (BSU) and discovered his passion to work with this population. Jim was soon hired as a supervisor, followed by a promotion to manager of the unit. The BSU was a short term acute care facility which served as the crisis unit for the State of Maine, specifically for developmentally disabled individuals, who posed a danger to themselves or others. The BSU, was supported by a full clinical team; it was here that Jim learned that a collaborative and consistent team approach are the necessary combination to affect positive behavioral change. In 1992, Pineland Center was in the process of downsizing and moving its residents to less restrictive community settings. Jim worked another eight months as a QMRP/S at Pineland, where he was charged with annual planning, monitoring for individuals residing in two residential units, as well as the supervision of staff within those units. In October 1993, Jim was hired as an Individual Support Coordinator in the Region I Office located in Portland, for the Department of Mental Health, Mental Retardation and Substance Abuse Services. Jim had a caseload of approximately thirty-five individuals, and he coordinated their services provided by a vast network of community provider agencies. It was during this period, that Jim recognized the importance of providing strong support to the agencies so they could provide better support to the individuals that they served. From 5/99 to 12/02, Jim worked as a Resource Coordinator and as the Contract Manager for Region I. These experiences provided Jim with a strong working knowledge of the Medicaid Waiver Programs as well as alternative funding sources. These opportunities provided Jim with the knowledge of how different funding streams directly translate to optimal services for individuals. Jim moved back to the program side of the service delivery system in 12/2002 as a Regional Supervisor. In this capacity, Jim worked with a team of Case Managers who coordinated services provided by a system of community provider agencies. Jim realized that State personnel and the service providers shared the common goal of superior service delivery. He accordingly focused his efforts towards supporting his staff, allowing them to support the agencies which consistently yielded improved service to the individuals. In addition, strong working relationships were forged with the provider community during this period. Jim moved to the private sector 3/2018 as an Area Director with Granite Bay Care, and he is appreciative of the opportunity to work for people with developmental disabilities from a different perspective. Jim hopes to continue his efforts to support teams, which will assist individuals served by Granite Bay Care to achieve their maximum potential. 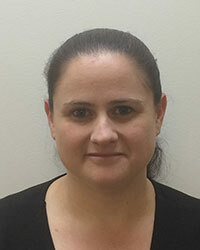 Carmen joins GBC with over 18 years of experience as a registered nurse. 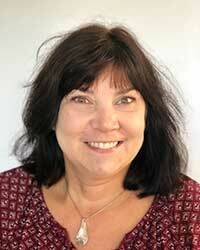 She has primarily served in licensed facilities in the state of Maine as the Director of Nursing. She was appointed by the Governor to the Maine State Board of Nursing in 2006 and subsequently appointed for two additional terms. Her dedicated attention to this role includes over 10 years of service to the nursing profession. Carmen has extensive experience with policy development and regulatory oversight. She has helped to develop the state’s CNA curriculum to include advanced skills. Carmen has vast experience teaching in the medical field whether it be for CNA-Med technicians, abuse and neglect, and resident rights. Carmen notably has served on the Board of Nursing as a representative to several committees which included Sexual Assault Forensics Examiner, quality improvement and policy writing committees. Carmen prides herself on completing many communications trainings like crucial conversations, to enhance her ability to perform as an effective nursing leader in organizations for over 150 care providers. Carmen’s passion has always been to create and maintain the highest quality of compassionate care possible for individuals with special needs; with an emphasis on preserving their dignity and individual rights. Kelli Wynn Director of Quality Assurance, is committed to caring for the individuals we serve, and the quality of care provided. 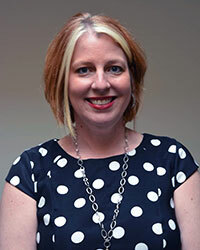 She joined GBC in 2007 as a Program Manager and held that position for 9 years. She has a wealth of knowledge regarding both organizational operations and state regulations. Kelli has been a certified Non-violent Physical Crisis Intervention instructor for 7 years. Kelli assisted in opening and supervised the GBC Crisis Home in 2010 and Children’s program in 2017. She holds Bachelor Degrees in both Criminal Justice and Behavioral Science. She is certified in Emergency Management, assisted in Planning and Participating in several local Emergency Management trainings. Prior to joining GBC she worked as a Police officer for 10 years. Also worked as a residential counselor in a 12 bed adolescent transition home in New Hampshire. Scott Fazzina has been serving as Granite Bay Care’s IT Director since 2008. Scott believes that being informed with accurate information is the key to successful management and delivery of our services. Scott's responsibilities are to develop and manage innovative, robust, and secure information technology throughout our organization. Through his many years at GBC he has developed and implemented a wide variety of systems to streamline the organizations operations, payroll and employee benefits. He was instrumental in implementing our Care Tracker system throughout our organization. With this system we are able to more accurately track and manage the behaviors and personal goals of our clients. This gives us an in-depth look in their specific behaviors to provide our clients with the best care possible. 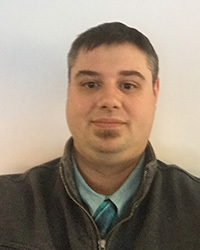 Most recently, Scott accepted an additional position of Risk Management Director. Over the last 10+ years, Scott has been working closely with all departments within the agency to develop software to suit their needs. Due to this, he has a unique perspective on each individual department and helps department heads identify and create solutions to any potential risks. E’nkul E. Kanakan, Granite Bay Care’s Employee Relations Director, brings to GBC a wealth of experience and knowledge. 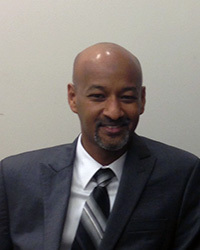 Prior to assuming his current role, E’nkul had also served as an Area Director and Director of Vocational Services with GBC. He holds a Master’s in Education with Specialization in English as a Foreign Language, and a Masters in Business Administration with Specialization in E-Business. E’nkul is a trained educator with more than 20 years of continuous teaching and teacher training in various fields. He has several years of experience in International Relations as a past employee of the US Department of State, the US Agency for International Development and the US Peace Corps, and has worked as a United Nations translator and Interpreter. In addition to his work at GBC, E’nkul has served as an adjunct professor of African Politics at a local New England University since 2008, and devotes time to volunteering in various not-for-profit organizations, and is a community grassroots organizer for the African diaspora in Maine.